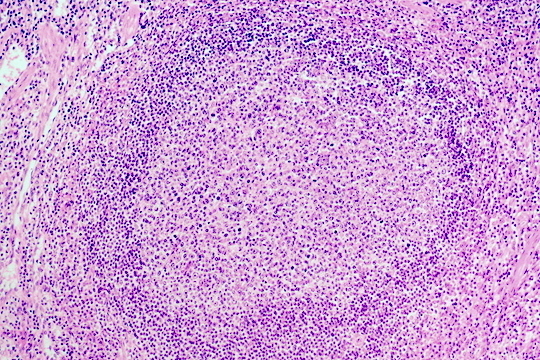 At high magnification is seen a lymph node follicle with a germinal center containing larger lymphocytes undergoing activation. B cell are activating to become differentiated plasma cells producing immunoglobulin specific to the encountered antigens. At the upper left is the mantle zone.